Definition list is a list of terms and their definition/description. Definition list in order to use with the combination of <dt> and <dd> tags. <dt> tag used to define the term name. <dd> tag used to define the term description. <dl> tag belonging to Flow content category. <dl>tag is initiated in the document. 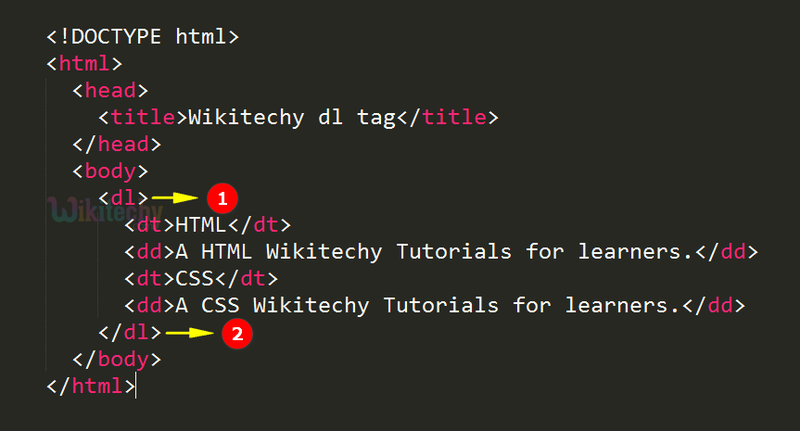 HTML and CSS Terms are mentioned in <dt> tag. 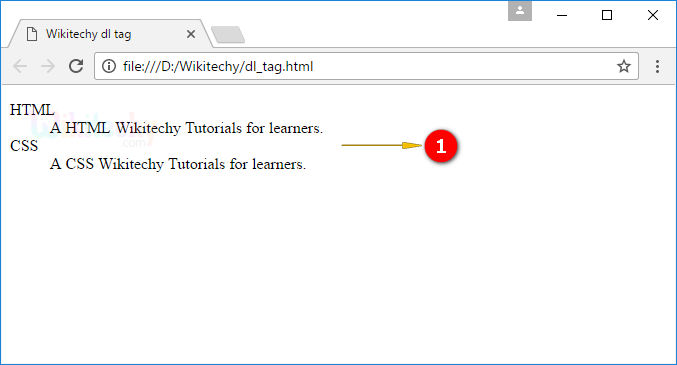 The description of the HTML and CSS is declared within the <dd> tag. Here the output displays the description of the HTML and CSS in the document.